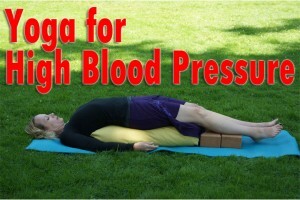 Any suggestions for yoga for high blood pressure? Today’s question comes from Mary from the membership site and she wants to know. There have been studies that show that yoga has a positive effect on hypertension. Studies have shown that people who practice yoga a few times a week are able to lower their blood pressure. In the study, researchers led by Dr. Debbie Cohen of the University of Pennsylvania tracked 58 women and men, aged 38 to 62, for six months. Those doing yoga two to three times a week saw an average drop in blood pressure readings from 133/80 to 130/77, the researchers said. Another study done at the Faculty of Medicine at University of Duisburg-Essen in Essen, Germany, Cramer and his colleagues combined the results of seven previous studies that included 452 patients. 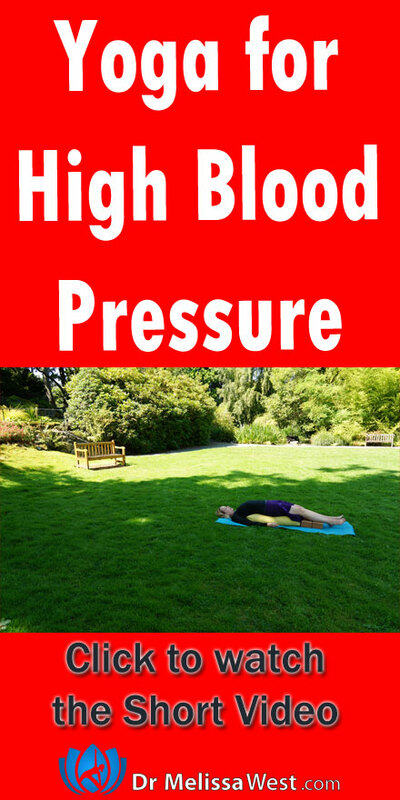 In each of those studies, people with high or borderline-high blood pressure were randomly assigned to practice yoga for at least eight weeks or to get usual blood pressure care or another type of treatment instead. The researchers found that on average, yoga reduced systolic blood pressure (the top number in a blood pressure reading) by about 10 mm Hg and diastolic blood pressure (the bottom number) by 7 mm Hg, compared to usual care. Yoga can be helpful for those who suffer from hypertension because it gives the sympathetic nervous system a break, slows down your heart right and teachers your mind and body to relax deeply. The long slow deep breathing that you do during yoga also helps to lower blood pressure. Practicing cooling, calming and quieting poses is extremely beneficial for those with hypertension for a relaxing effect on your whole body and mind. Today we will practice supported shoulderstand with your body on a bolster and blocks and your head and shoulders off for an incredibly restorative effect on your whole body and nervous system. Here are some yoga classes that would be good for hypertension.